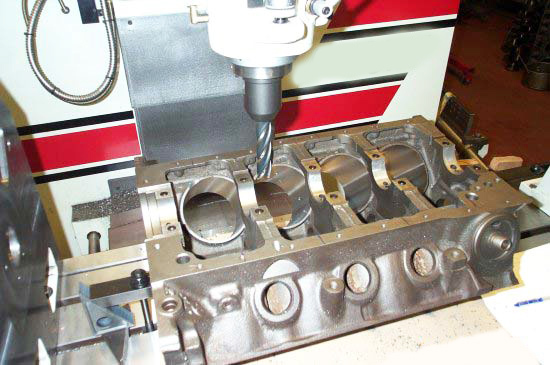 State of the art machining capabilities operated by expert machinists. 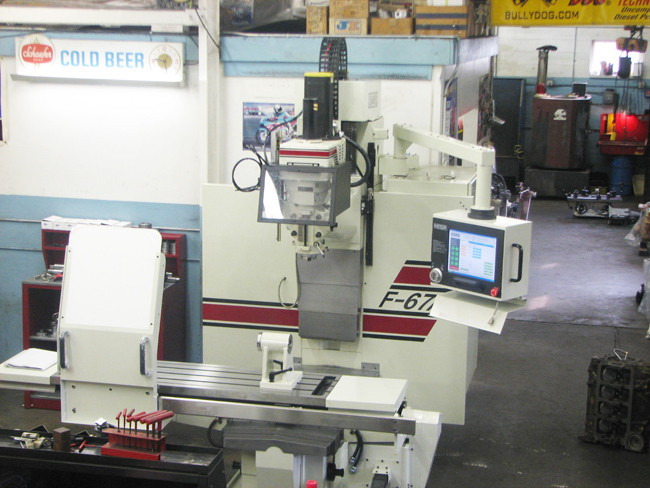 These machines are specifically designed for High Performance Engine Blue Print machining operations. 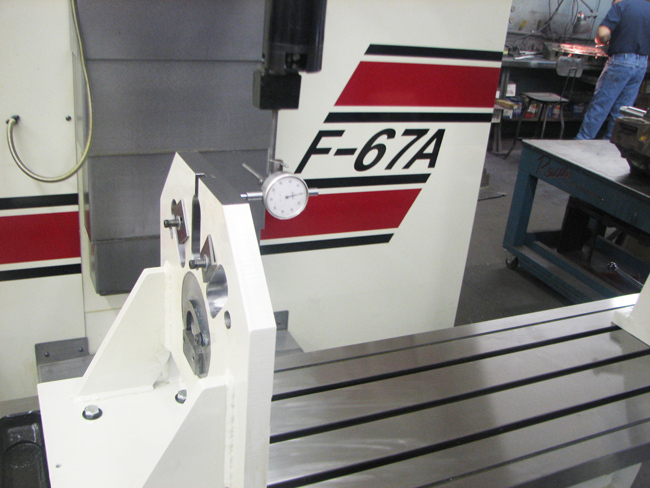 Custom machine your components 1 part at a time. 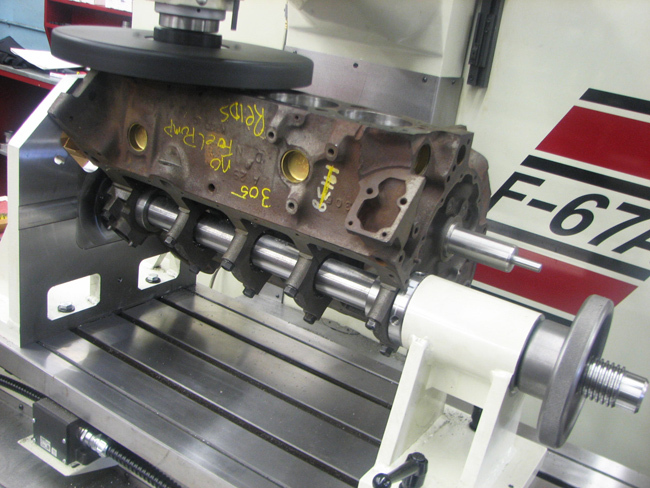 OEM'S use the Pan Rail as The machining Datum. 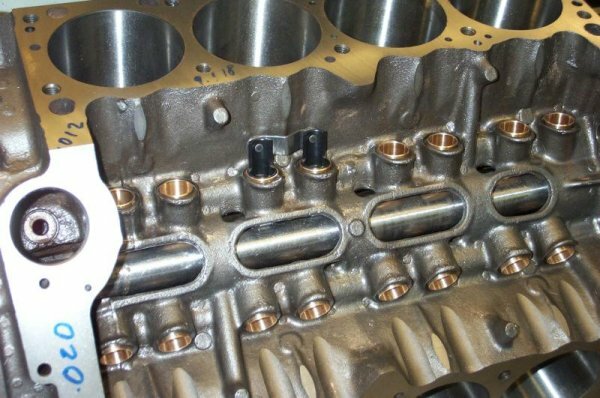 This is why deck heights are not at a true 90 or equal end to end.Cylinder bore locations and even lifter bore distances and locations are not on Blue Print Spec. 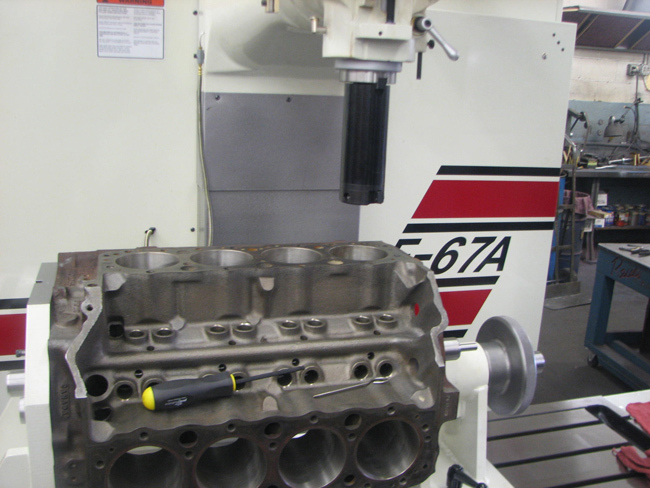 Reid's Automotive has invested in Rottler F67A CNC Equipment with 4 th axis and probing processes to correct bore center spacing , deck heights and lifter bore locations. 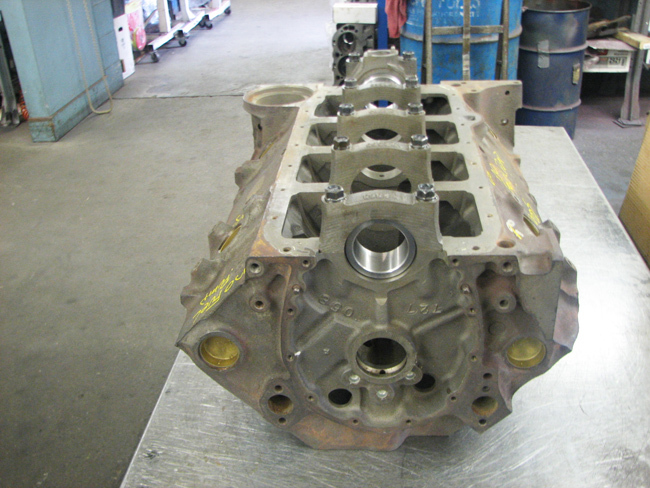 Our fixtures are based from the main line and cam shaft centerline. 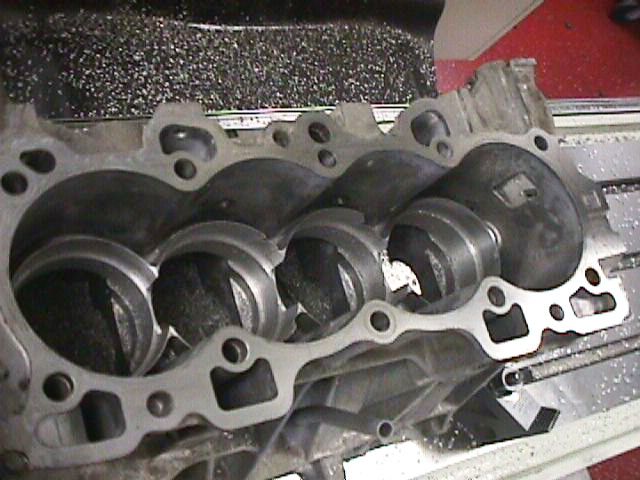 The process will increase Horse Power while Improving overall Engine Performance. 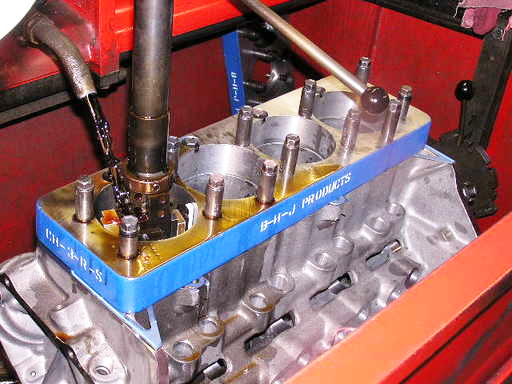 Your Hot Rod, Vintage Restoration, Marine Engine, or Race Engine will perform at peak performance levels. 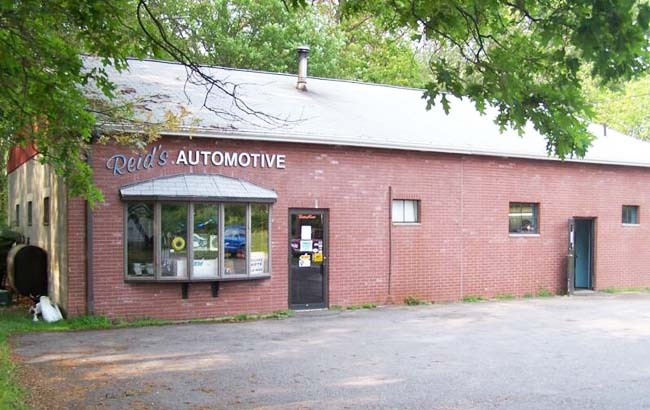 Reid's Automotive utilizes the best components and machining processes. 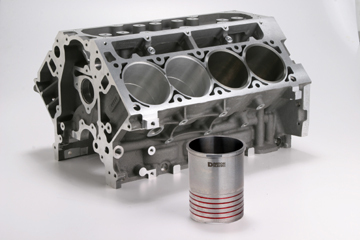 Reid's Automotive will satisfy even the most demanding requirements because "Quality isn't an option it's a requirement"
and # 4 bore housing with cap installed. Step 2. 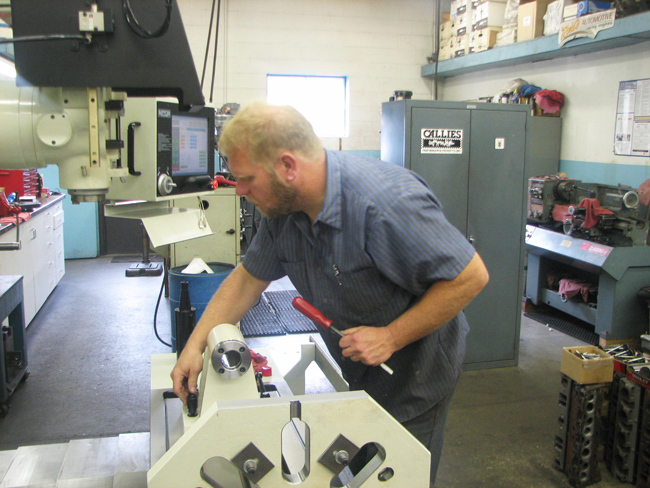 Precision bar is then installation into the precision main line locators. 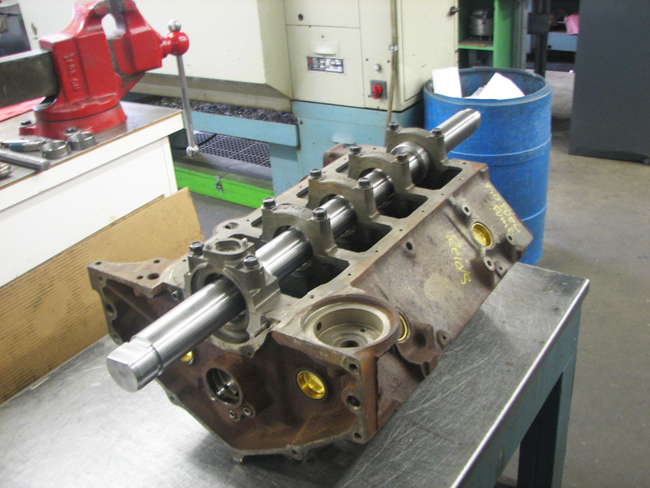 Boring cylinders main and cam centerline. Bore center corrected to Blue print specs. Step 5. Indicate datum plate. Step 6. Input bore location from print. Step 7. 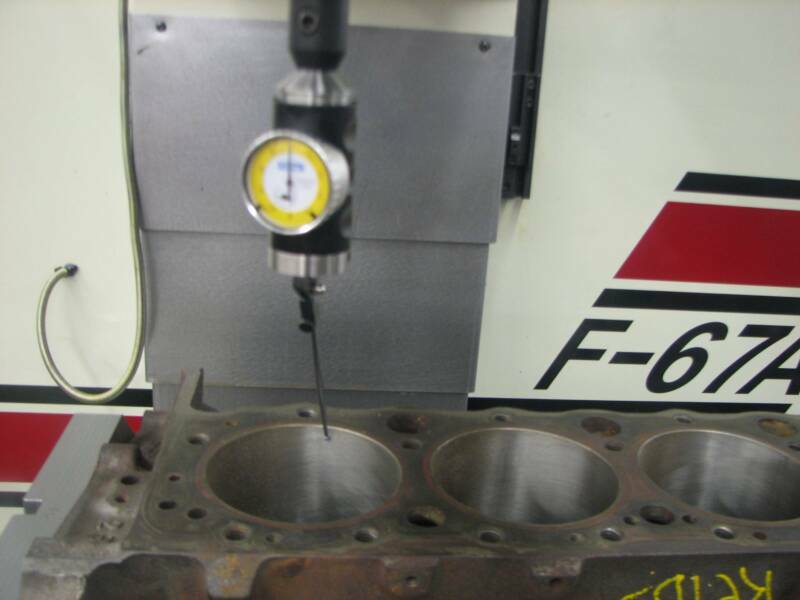 Load the block and install precision cam and main locators onto the precision locator. 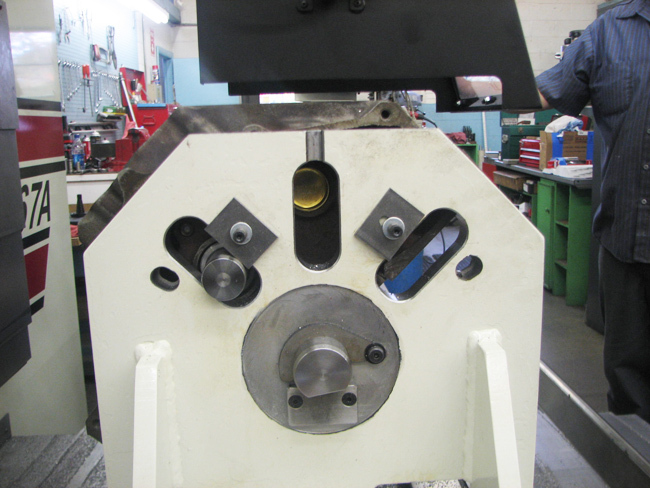 The locator bars are then installed into the precision datum plate. 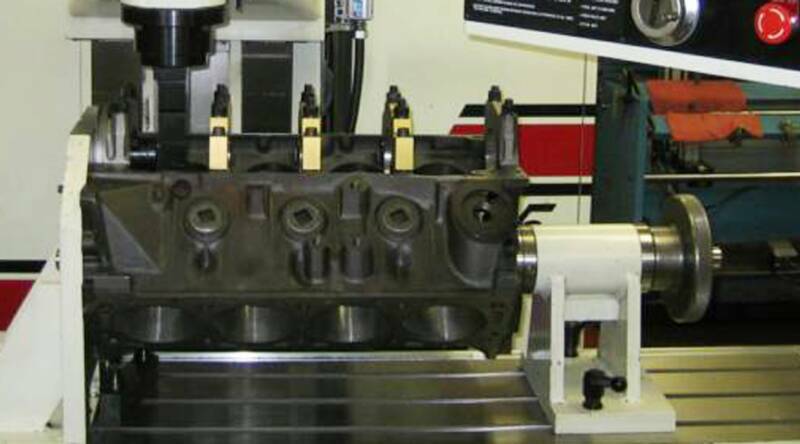 The set up fixture enables all machining to reference the Camshaft and Main Line centerline. Step 8. 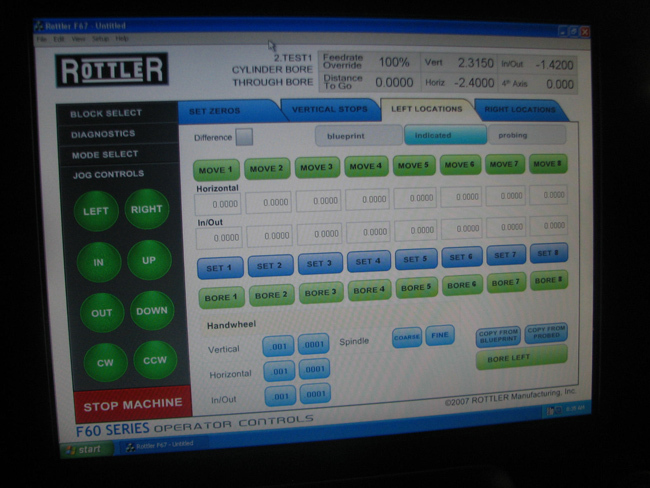 The CNC program locates the indicator at the true blueprint location. 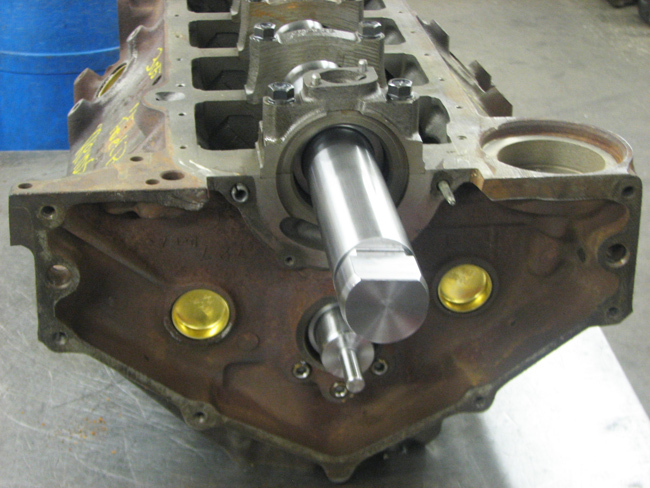 The operator can accept the blueprint locations or adjust the bore centers for wear or core shift. 45 degree angle. decked to the correct deck height.